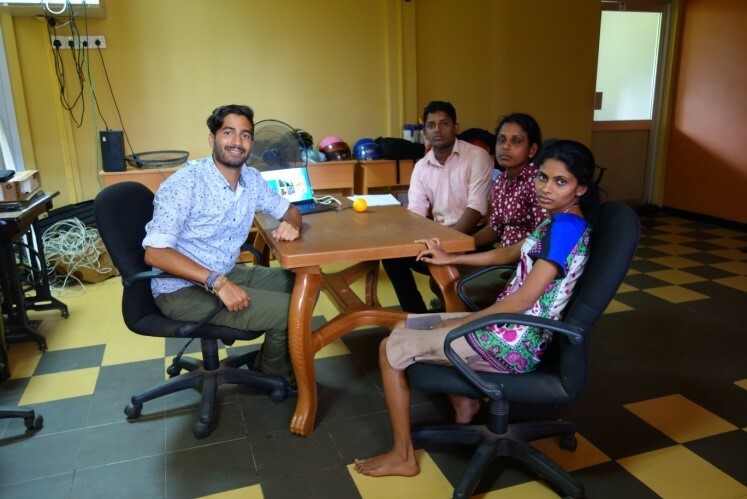 In May 2015 Aidan Harper, a young Australian business man, volunteered to spend a week with the Mahavilachiya BPO, Ontime. He spent 1 week living in the village and everyday would spent time with the Associates working with them on their English and management skills. Aidan Harper had previously worked Kraft Foods International in marketing roles, managing global, household brands like Oreo and The Natural Confectionery Co in Australia. Aidan used his knowledge, skills and experience to develop the BPO Associates general business knowlege, spoken English skills and work with the leadership team on how to best plan for success and develop talented staff members. Over the week all staff members had one on one time with Aidan where they ran through coursework ranging from creating short and long term goals, writing effective emails to preparation for interviews. All staff benefited greatly from their time with Aidan. Based on the success of this visit FARO now aims to set up an ongoing mentoring program where business people from outside of the company will be invited to voluenteer their time and visit the BPOs. This provides the BPO staff with an invaluable opportunity to learn from successful business people and receive mentoring on how to develop their own careers. During his time with Ontime, he stayed in the Mahavillachchi where he experienced the joys of village life. His efforts were much appreciated by the Associates.